with Berg Bag Flour Sack Towels. 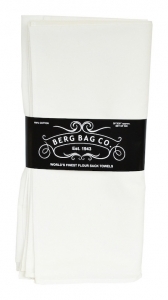 Berg Bag offers 100% premium cotton flour sack towels used for embroidery and appliques, silk screening, screen printing, painting, cooking and baking, bath and kitchen use, DIY crafting, and a variety of other fun activities. 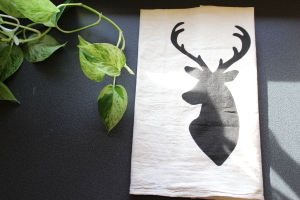 Also known as tea towels, the flour sack towel history links back to flour sacks from mills, but a recent surge of DIY enthusiasts have made flour sack towels a household item for custom craft projects and a popular find in most homes. 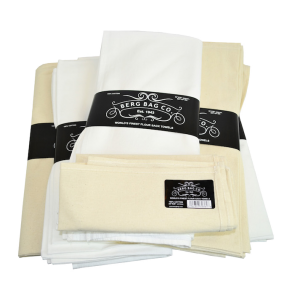 Berg Bag is a premier supplier of blank flour sack towels, or tea towels, for large retailers, high-end kitchen stores, craft stores, screen printers, creative marketing companies, drug stores, and DIY enthusiasts across the country. 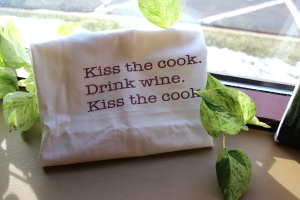 You won’t find a flour sack towel made from a better quality fabric. 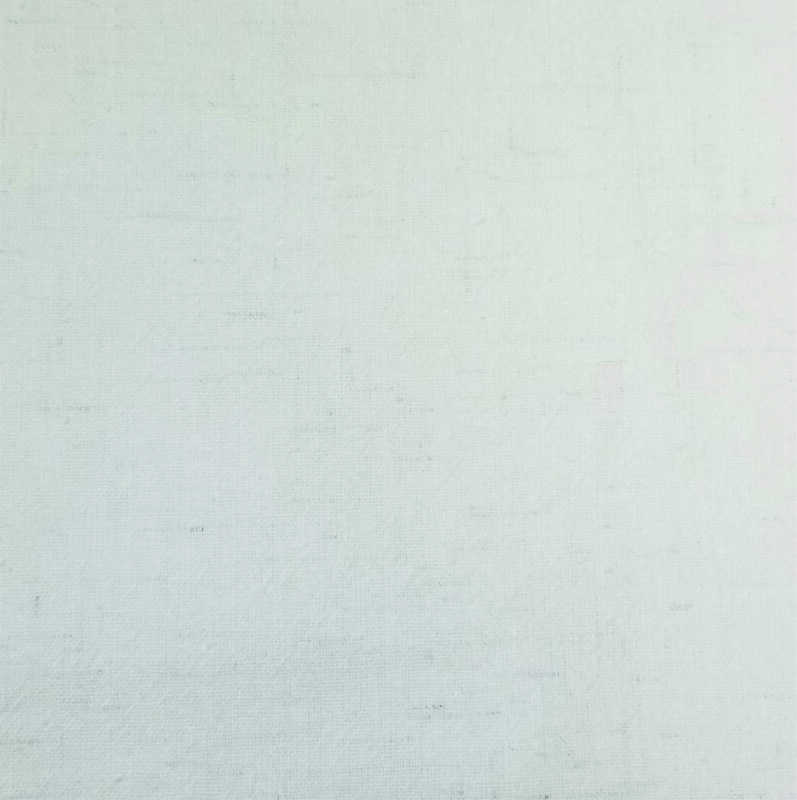 We offer two types of heavy-weight, 100% cotton towels – Premium and Premium Natural. Both are made from the same heavy-weight, high quality fabric and available in bulk and retail ready options. All sizes are approximate and may vary slightly after laundering process. *Towel sizes and colors are sold in 250 piece increments. No mix-and-matching of sizes or colors are allowed to accumulate 250 pieces. Our towel seconds have defects like tears, holes, and/or stains. Great for cleaning and an economical option. Please email or call for availability. 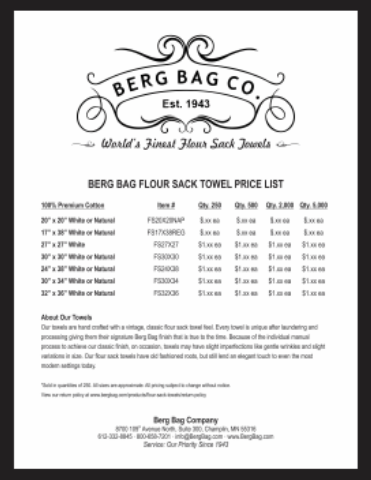 While supplies last, Berg Bag is offering our vintage flour sack towels to add to your collection. These towels are hand crafted with the classic Berg Bag finish, but include a vintage look with more dark fibers that our traditional towels. Quantities are limited so download our price list today to learn more. In addition to selling in bulk, we provide several packaging options including poly bags, paper bands, and UPC labels – all with or without the Berg Bag logo. Minimum orders start at just 250 towels. 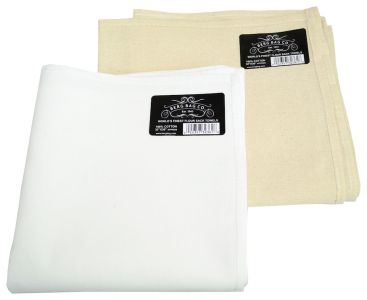 Contact us for pricing and to place your order to start your DIY flour sack towel empire today or to discuss retail distributor options available. At Berg Bag, we don’t just sell bags. We sell the World’s Finest Flour Sack Towels. How we got here has certainly been an evolution. 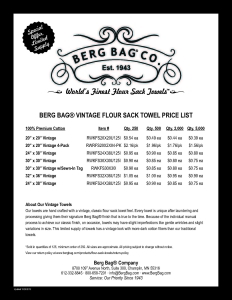 In 1943, Ben Berg founded Berg Bag and started supplying flour sacks to the many mills in Minneapolis. 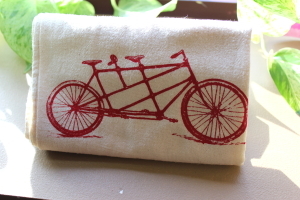 The end users loved the lint free, cotton fabric and they started cutting out and hemming towels for everyday use. Noticing the trend and demand, Ben started manufacturing towels along with flour sacks. 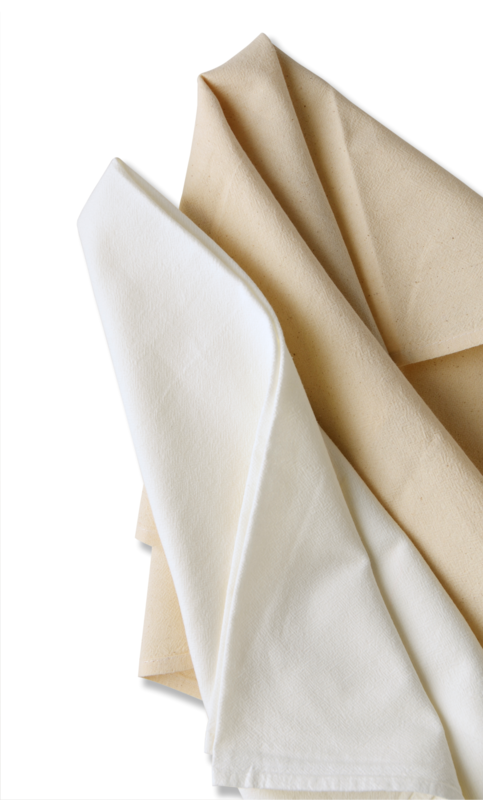 After three generations of family ownership and greatly expanding our product offerings, our flour sack towels remain our most well-known and beloved product. Our towels are a heavier weight than most in the industry and we take a great amount of pride in quality. It’s what sets our towels apart. 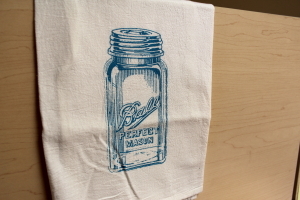 Today, serious crafters, screen printers, bakers, cooks, and flour sack towel enthusiasts recognize Berg Bag towels as the finest in the industry. 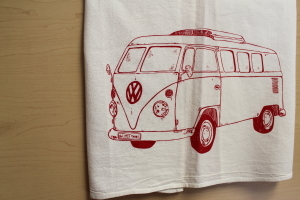 We’re proud to offer the World’s Finest Flour Sack Towels.